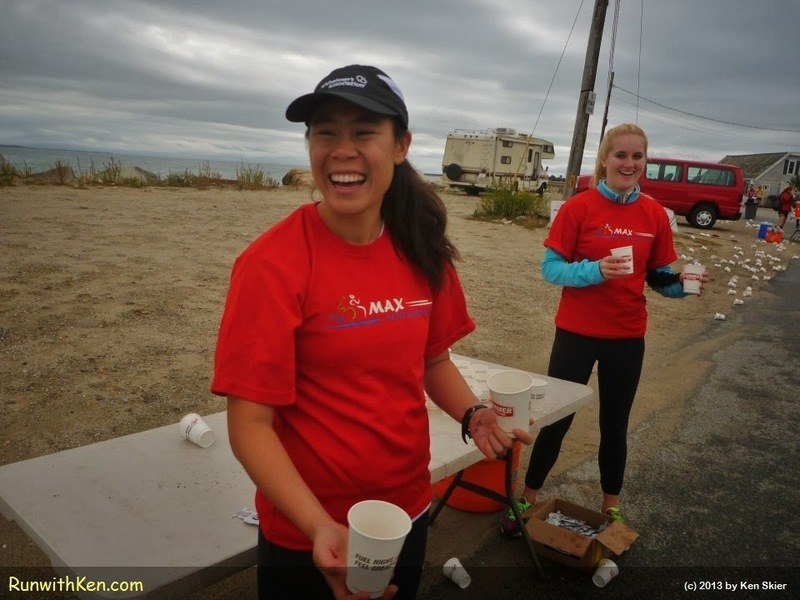 and cheers and big smiles-- when we run, jog, or painfully walk up to an aid station! I took this photo as I ran the final mile of the Buzzards Bay Sprint Triathlon. (#BuzzardsBayTri).